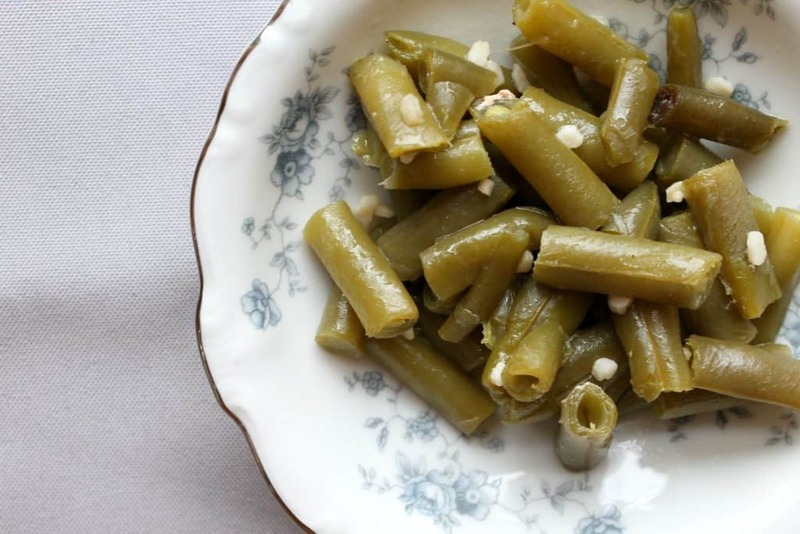 These southern style pressure cooker green beans taste like they’ve simmered for hours. 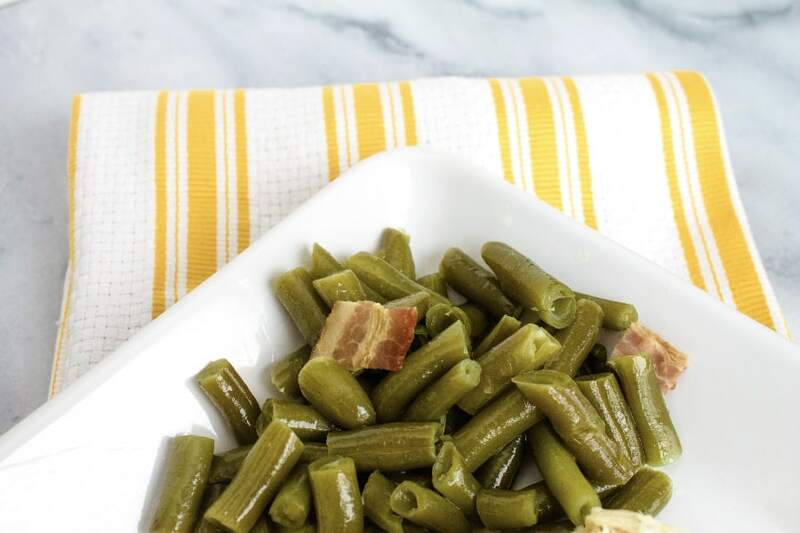 Tender, flavorful green beans cooked in the Instant Pot make a quick and easy side! Disclaimer: This post may contain affiliate links for your convenience. If you make a purchase, this site may receive a small commission at no additional cost to you. You can read my full disclosure policy here. Having spent the majority of my growing-up years in the south, I’ve eaten my fair share of green beans. 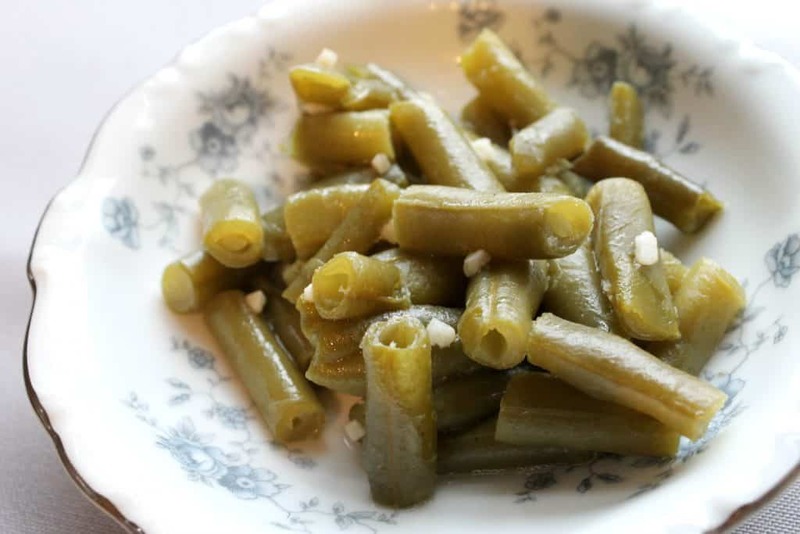 As a kid, I loved them so much that I would just pop open a can of green beans and eat them cold. Truthfully, they’re one of my favorite vegetables. 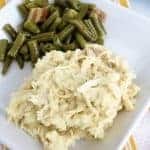 I attended a lot of church potlucks growing up, and green beans were always a part of these meals. There were usually multiple versions, all salty and delicious: Green bean casserole, fresh green beans sauteed with garlic and olive oil, and slow cooked southern style green beans. Yummmmm. If you’re not familiar with what southern style beans are, they’re sort of like what you would expect to get at a good barbecue joint: Super tender beans cooked low and slow, usually with bacon or ham and onions and garlic. While I love southern style green beans, I typically don’t prepare them that way because of the time requirement. That is, until I decided to try making them in the Instant Pot. You all know how much I love this dear appliance. I adapted the recipe a bit, using frozen green beans instead of fresh, because that’s what I had on hand, and they turned out great! 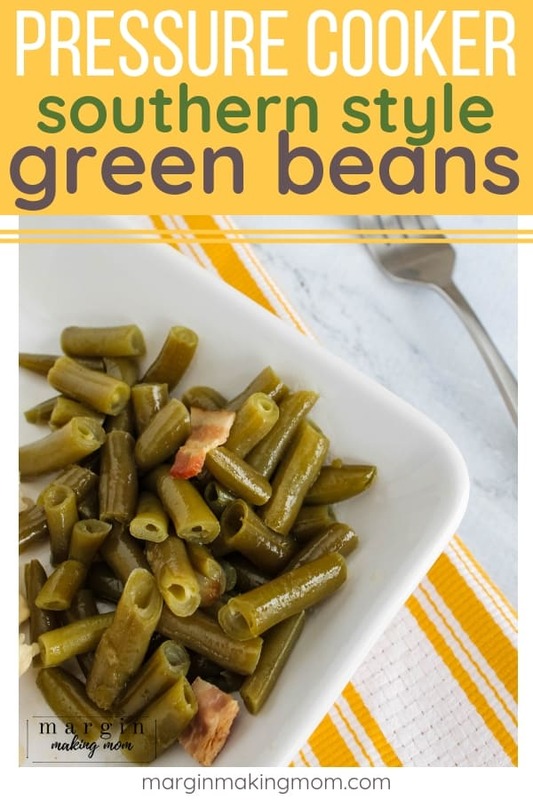 These southern style green beans only require a 25 minute cook time, which is much shorter than letting them “stew” for a few hours on the stove top or in a slow cooker. It’s worth noting that green beans actually cook in far less time than this (they really only need a few minutes to be cooked), but I cook them longer so they get really soft and the flavors meld together even more. Because these pressure cooker green beans cook up so much more quickly than their stove top counterpart, they make an easy side dish for a weeknight meal. Not only that, but you should consider these as a delightful side item to serve with your Easter, Thanksgiving, or Christmas dinner! Even better, since they cook in the Instant Pot, you can set it and forget it while you’re preparing the other items on your holiday menu. How convenient, right? The process is actually about as simple as it gets. 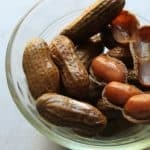 Simply dump all of the ingredients into the insert pot of an Instant Pot. I usually add a a little salt and pepper at this point, then add more if I need to after cooking is complete. Twist the lid into place and select a 25 minute cook time at high pressure using the Manual/Pressure Cook setting. Once the cook time is complete, perform a quick release of pressure. After the pressure has released and the valve has dropped, carefully remove the lid. If desired, remove the bacon strips. Give everything a good stir and add more salt and pepper to taste, if necessary. This recipe as written makes enough green beans for about 4 servings. Feel free to double the recipe as long as you are using at least a 6-quart pressure cooker. I have not tried doubling the recipe in a smaller pressure cooker, so just be sure you aren’t exceeding the maximum fill of your model if you’re planning to double the recipe in a smaller model. Frozen green beans are what I used (that’s what I most often have on hand), but feel free to substitute fresh green beans if you prefer or if you have them on hand. I recommend keeping the cook time the same. 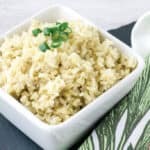 If you want to save a couple minutes of prep time, you can use frozen diced onions or frozen pearl onions instead of taking the time to dice an onion yourself. Feel free to adjust the seasonings. You can omit the garlic, substitute ham instead of bacon, use seasoned salt, garlic pepper, etc. Green beans actually cook in much less time in the pressure cooker (typically just a few minutes or less), but the extended cook time of 25 minutes is to allow the flavors to really meld together and for the beans to get good and soft, giving them that consistency of having simmered all day. Don’t have a pressure cooker? 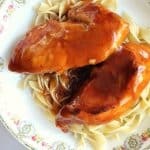 These can be made in the slow cooker as well. Add all ingredients, plus an extra cup of broth, to a small slow cooker. Cook on low for 6-8 hours, stirring once or twice during cooking. 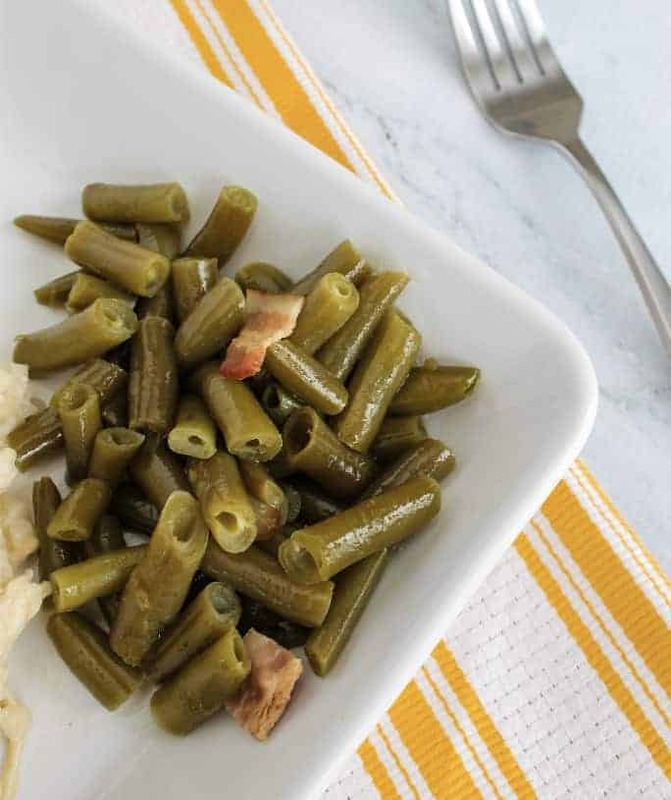 These southern style pressure cooker green beans taste like they've simmered for hours. 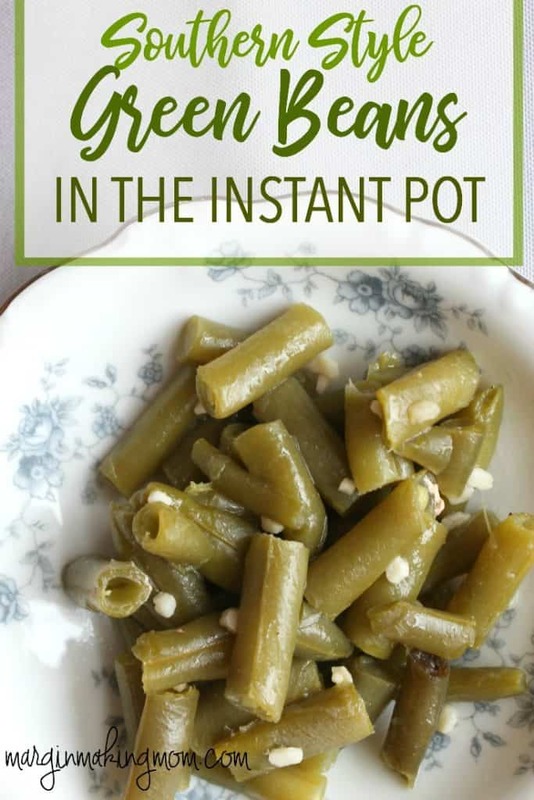 Tender, flavorful green beans cooked in the Instant Pot make a quick and easy side! Add all ingredients to the insert pot of the Instant Pot. Close the lid and set the vent to the "sealed" position. 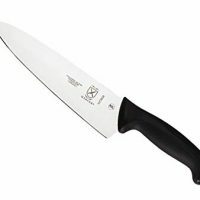 Using the manual setting, program a 25 minute cook time at high pressure. Once the cook time is complete, turn off the pressure cooker and perform a quick pressure release. Remove bacon strips if desired. Season to taste with additional salt and pepper, if necessary. Add all ingredients (plus one extra cup of broth) into a small slow cooker. Cover with lid. Cook on low for 6-8 hours, stirring once or twice during cooking. This recipe as written makes enough green beans for about 4 servings. Feel free to double the recipe as long as you are using at least a 6-quart pressure cooker. I have not tried doubling the recipe in a smaller pressure cooker, so just be sure you aren't exceeding the maximum fill of your model if you're planning to double the recipe in a smaller model. Frozen green beans are what I used (that's what I most often have on hand), but feel free to substitute fresh green beans if you prefer or if you have them on hand. I recommend keeping the cook time the same. Doubled your recipe. Made as a side for dinner for some true Southerners visiting Michigan. They loved them!! Not one believed me when I told them the green beans took about 45 minutes, start to finish. Thanks! 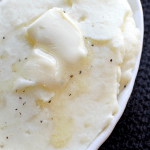 Do you have a modification for this recipe if I include red potatoes? Potatoes generally only need a 5 minute cook time, so you could just cook the green beans for 20 minutes, do a quick release of pressure when the cook time is over, then add the potatoes. Replace the lid and cook at high pressure for 5 minutes. When cook time is complete, do a quick release of pressure. You just saved my jars of frozen green beans from the garden! Up until now I haven’t been able to find a way to cook them that gave the texture of canned green beans! These were great! Yay! Happy Dance!! Does it really take that long in the pressure cooker? 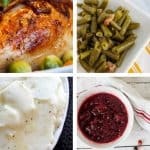 I’m just seeing other green bean pressure cooker recipes that cook in as little as 5 minutes. I just don’t want to over cook. Does anyone know how canned green beans would work in the IP? I bought three HUGE cans of them, so I could use the empty cans for Halloween wind socks. Trying to figure out a way to actually use the beans! By the way, I love your IP recipes! Thanks so much. I want to fix this for Thanksgiving and one of my guests is a vegetarian. Would leaving out the bacon ruin the taste? Hi Emily! You could get away with leaving out the bacon, but you might want to add some additional salt (or other seasonings), since you’ll be lacking the saltiness from the bacon. I’d like to make this for Thanksgiving. We’ve got around 20 people coming. Would I need to triple the recipe do you think? And do I need to add more cooking time or will 25 minutes still cover it? Thanks! Hi Laura! That’s a fair question, and I’m realizing I wasn’t clear in the recipe instructions, so I’ll update those! 🙂 I personally just put the raw bacon in and cook it with the green beans. However, I know plenty of people fry the bacon first (you could do this using the saute function of your pressure cooker), then put the cooked bacon into their green beans before cooking. If you cook the bacon first, it does tend to break apart more easily during the cooking process, leaving you with bits of bacon in the beans, which some people prefer. So really, you can do it either way, depending on your preference! Can I do it with fresh green beans? I’m not a Southern Belle yet and still prefer than crunchy. Hi Nora! Yes, you can use fresh green beans! If you want them to still be crunchy, I’d recommend decreasing the cook time quite a bit. I haven’t experimented with that, but I’m guessing it would only take a few minutes (maybe 2-3?) to cook them and still have them crunchy. If you give it a try, I’d love to hear what cook time worked for keeping them crunchy! Hi Amy, there will definitely be some liquid, since most of the the broth and the liquid released by the beans doesn’t evaporate. If you want more “juice,” you can add more broth (but you just can’t decrease the amount because you need at least 1 cup of liquid in order for the pressure cooker to come to pressure). Hope that helps! If I double this recipe, do I double the liquid? I would recommend doubling it, because the liquid makes it similar to “stewed” green beans. But you technically don’t have to double it in order for the beans to cook. I usually cook them at pressure for 0 time and QR. Wow! Yum! 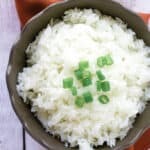 The last recipe I used in my instant pot my husband didn’t care for and he loves green beans. These are amazing! I used fresh and made a big batch (two 24 oz bags) for our family Thanksgiving tomorrow. Glad I did because I ate a bunch before I had to make myself stop. 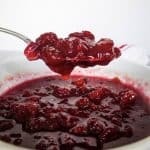 I just made this recipe, and it turned out awesome. Although next time, I may try fresh green beans instead of frozen… and I used thick-cut bacon, next time I’ll try regular-cut. The beans were a little mushier than I liked, so I may drop the cook time down a little. But flavor-wise? mmmmmmm. Yes, you can definitely decrease the cook time if you prefer the beans to be firmer. Glad you enjoyed them! I have a 6 quart IP. Can I cook fresh green beans this same way? If so, fo I need to use more or less broth? My Nana used to sit on the front porch, snapping and cleaning her green beans into a colander. Then she would put them into her old pressure cooker (with the rocking weight), along with bacon. This recipe brought all that back for me. Perfect! I might say, if your fresh beans are small, you could reduce time to 20 minutes. Thank you so much! Is this on high or low pressure for the manual setting? 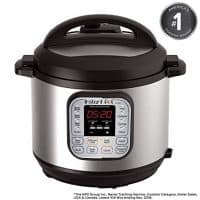 Do you have instructions fo someone who doesn’t have an instant pot? 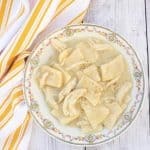 I can’t to this recipe because the name didn’t have “instant pot” in the name! I’m a girl from North who transplanted to the South and never learned to use a pressure cooker but my southern husband would love these green beans! Not good, sorry. Followed exactly with fresh green beans. Mushy, weird, chickeny flavor. Would not recommend this recipe! I’m sorry you didn’t enjoy them, Ruth! I’ve never noticed a chicken flavor, but you could give it a try with vegetable broth or even just water with some extra salt.